Built with native macOS technologies, Proxie launches in a snap and has an interface that makes you feel like home. 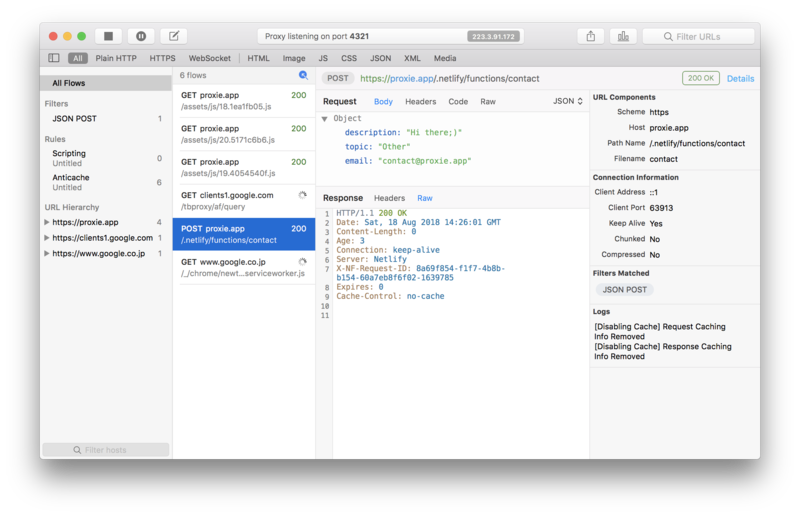 Proxie is able to decrypt and reveal HTTPS traffic by man-in-the-middle interception. 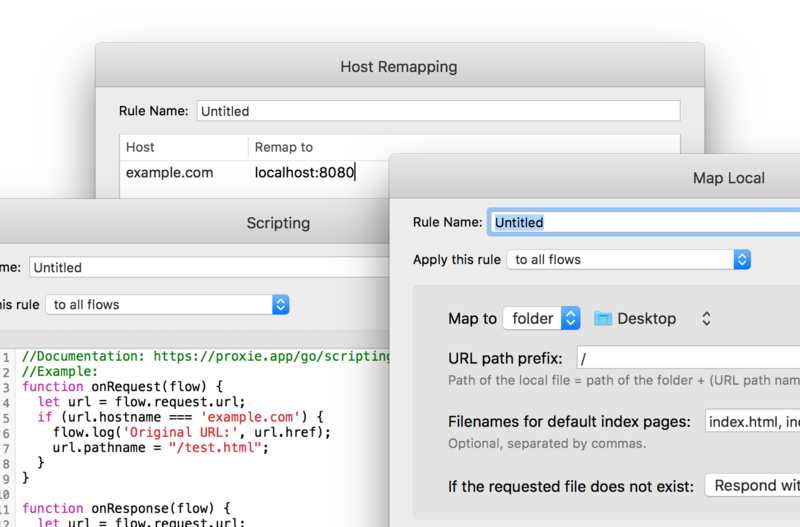 By creating rules you can manipulate requests/responses on the fly, pause and edit them by hands, or even execute JS scripts on them. Proxie is built as a native app at every bit. It was not easy but we did it anyway because we care about your user experience, productivity, RAM usage and battery life. Finding information in tons of requests could be hard. 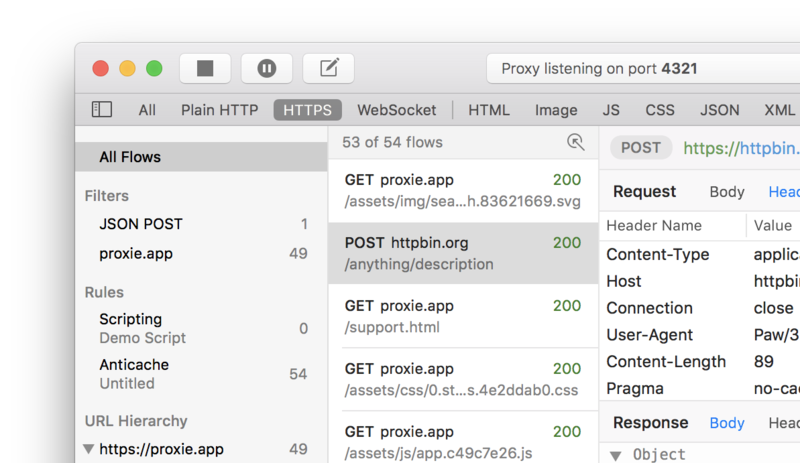 Proxie tries to make it as convenient as possible by providing multiple filtering mechanisms: quick search, url hierarchy, customizable user filters.